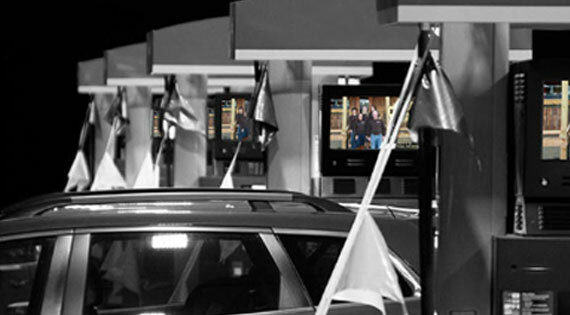 Digital signage is now used across many walks of live, empowering new information sharing and applications as never before. Below you can see how the Go Dreamz digital signage platform can help your business: in small retail stores, waiting rooms, swimming pools, academic institutions, corporations, and much more customers. To deal with the ever-changing streams of visitors, conference and training centers need to manage communication of daily and even hourly schedules, directions and other information. 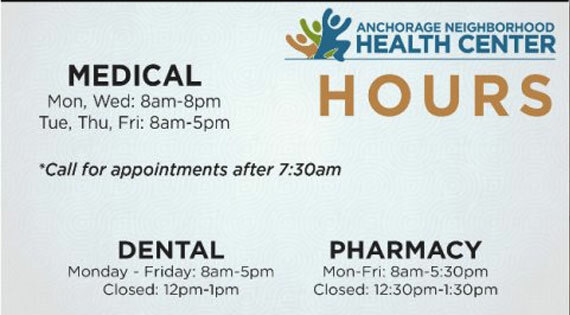 Running around with updated paper notices is highly inefficient, and can easily be resolved by adding digital signage and using a cloud-based platform. Many local organizations, whether they are churches, synagogues, town halls, libraries or community centers, rely on spreading the word about their events and activities to encourage participation and to deliver their community services. 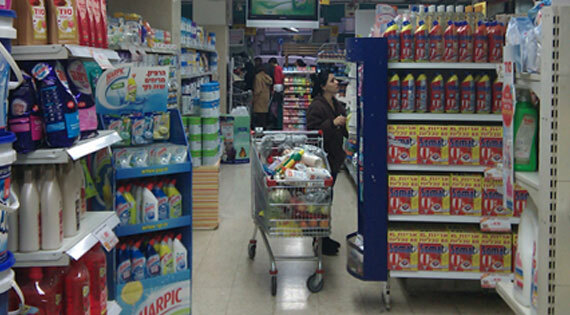 Paper signage is wasteful and inefficient and can inexpensively be replaced by easy-to-manage digital signage that provides an instant, ever-changing message board that can be adapted by day and hour of the day with automatic, relevant information posted. 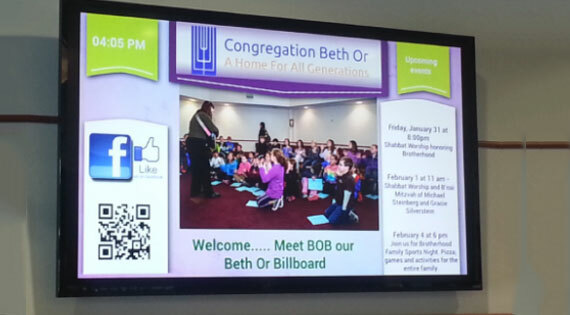 Our case study on the Beth or congregation in the USA shows how such solutions instantly become indispensable. Also, interesting to see the case study of World’s Christian Endeavor Union at Germany. 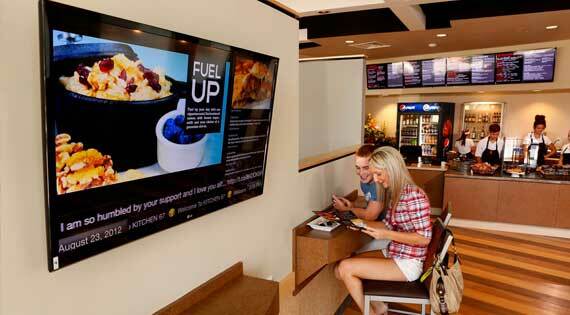 Digital signage has become popular in universities worldwide. Digital signage in educational facilities is used for updates on coming events, displaying news and other stories, information on campus activities and facilities, emergency notifications, displaying sponsor ads, and in school cafe’s and restaurants as a digital menu. 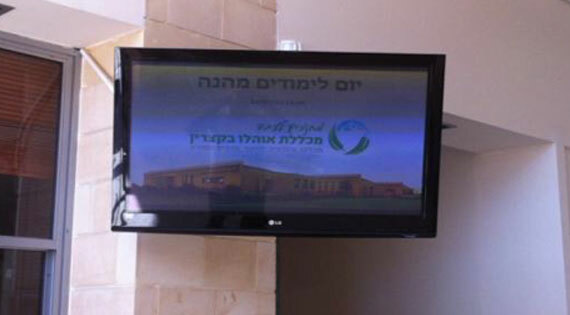 Ohalo College installed screens in their lobby and many other areas of the teacher training college and enjoys easy access to update and schedule content. Claremont day school from East Sussex, UK installed Go Dreamz solution in their campus and now have simple and centralized control over their TV signs. In any industry, Go Dreamz partners can leverage our stable platform to build networks of displays that use an advertising-supported model to finance the deployment of digital signage. Such networks can be attractive businesses themselves, opening a new avenue for communication to consumers by either industry-specific or very local advertising clients. Theaters, cinemas and special event centers use digital signage to provide relevant and up-to-date information on shows and events, previews and to provide important directions to guests. Sport arenas, clubs and workout facilities use digital signage to display real-time/game-time information and statistics, promotions and ads, important directions and emergency alerts. More and more, ads and information are being displayed digitally on buses, trains, shuttles, and in taxis. 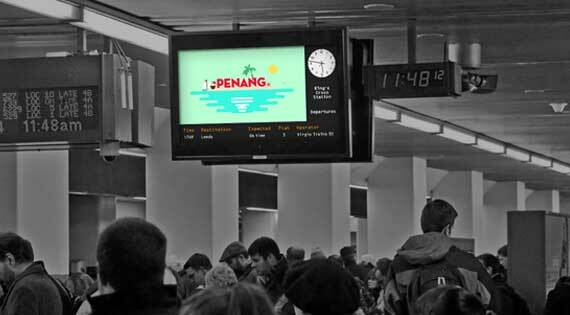 Digital signage is used in bus and train stations in major urban centers around the world to provide directions, updated information, weather reports and promotions. 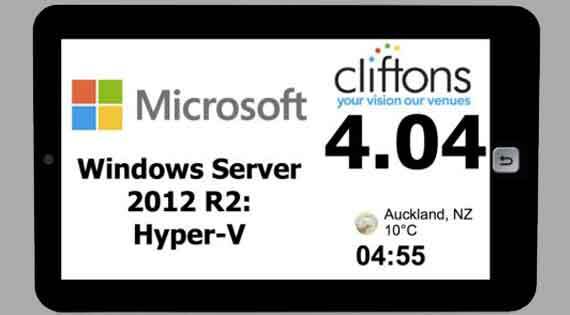 Central management and our easy data integration enables live updates using third party data providers. 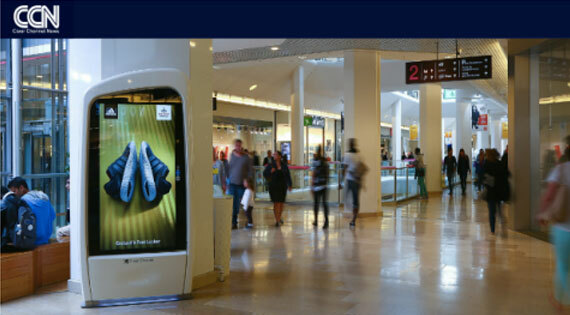 Shopping malls are using digital signage promote their stores to consumers, to display local news and information on shopping mall events, activities and facilities, advertisements, menu items in cafes and restaurants, and for emergency alerts. 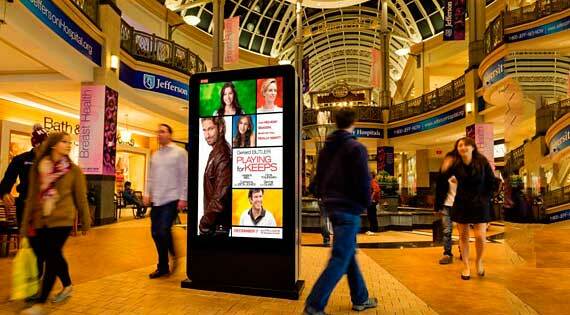 Digital signage in malls encourages collaborative sales initiatives between different businesses within the mall. 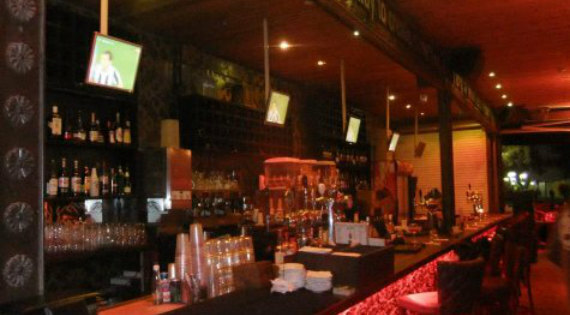 In cafes and restaurants today, digital signage is used to provide rich, visual and easily updatable menus, to promote new deals or menu items, attract the attention of customers, promote brand awareness, decrease operational costs, and continue delivering messages even after closing hours. 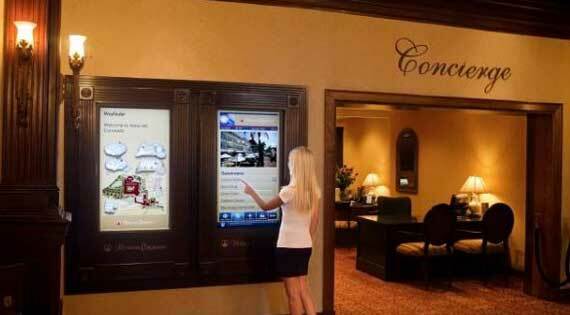 Hotels, spas and convention centers use digital signage to communicate information to guests and visitors about special events, activities and promotions and to display externally sponsored ads.